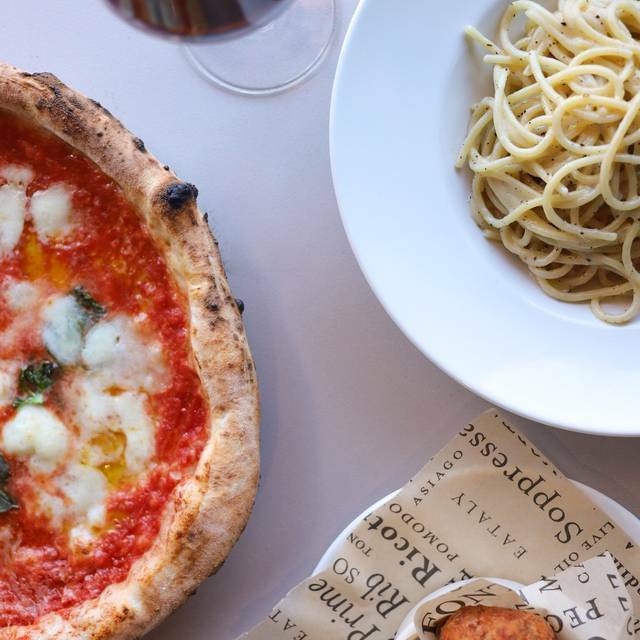 While pizza and pasta are just the tip of the Italian iceberg, there is a reason these two culinary staples are the most beloved exports from Italy. 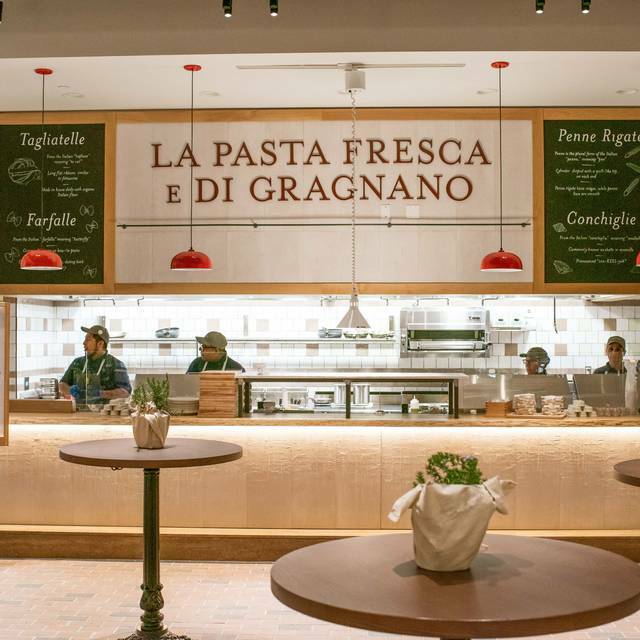 Enjoy Eataly Las Vegas's seasonal selection of pasta from Gragnano, Napoli and Neapolitan style pizza just steps away from where their expert pasta chefs and dough-slinging pizzaioli (pizza makers) create dishes before your eyes. The pizza was cold and soggy and we did not get our wine ( ordered before the appetizers) until we asked for it when the pizza was served. Over-rated venue at Park MGM. I had high hopes that were soon dashed when the table 2 over from me were given free sample foods from around the venue because they were bartenders at the hotel, while the table directly next to me went ignored by servers and treated...well, like tourists. Remember, this is a tourist town and 90% of your patrons are from out of town. Pasta was cold and the seemingly high-quality food/wine was overpriced and overrated. 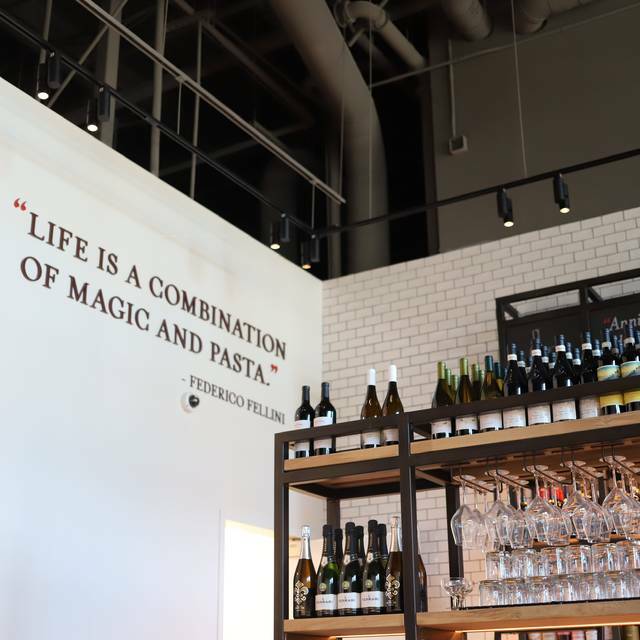 Too bad, as th concept is great, but the lack of service and cramming as many tables as they can into the space does not conjure up the feel of relaxing dining as it truly is in Italy. Ambience is great! Feels like you are in Italy with all the right stuff to buy. 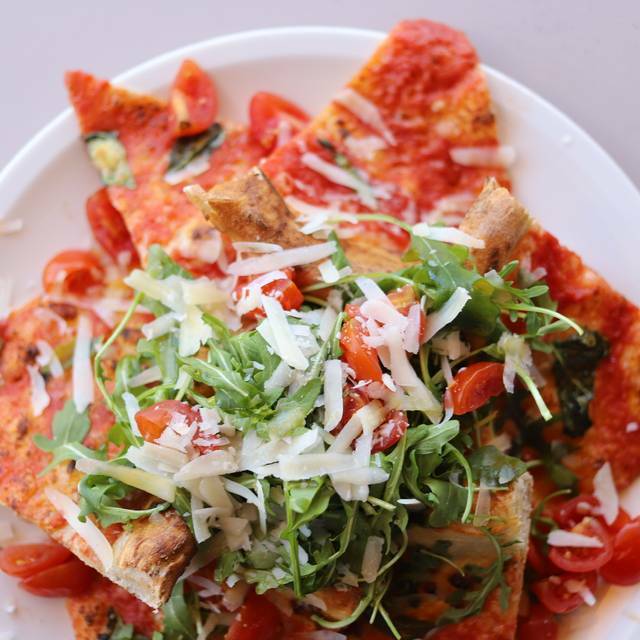 Pizza e La Pasta, is a great way to taste authentic Southern Italian pizzas and pastas. This menu is expensive and the restaurant is more like a food court than a place you can spend time with a significant other. We love it there. My 97-year-old mother in law has celebrated two birthdays there, in LA and now Vegas. Very quick service, like any place in Vegas, get you in and out. Tables are elbow to elbow. We felt very rushed entire time. We ordered a salad, pizza and pasta. Pasta came out first then pizza and then salad that wasn’t good and we were taking our time eating and they came back several times and asked us if they could clear the plates when we were not done eating . I’ve been there one time before and it was a great experience but this time I felt like since it was a Saturday night they couldn’t wait for us to be done and gone . food was only good. 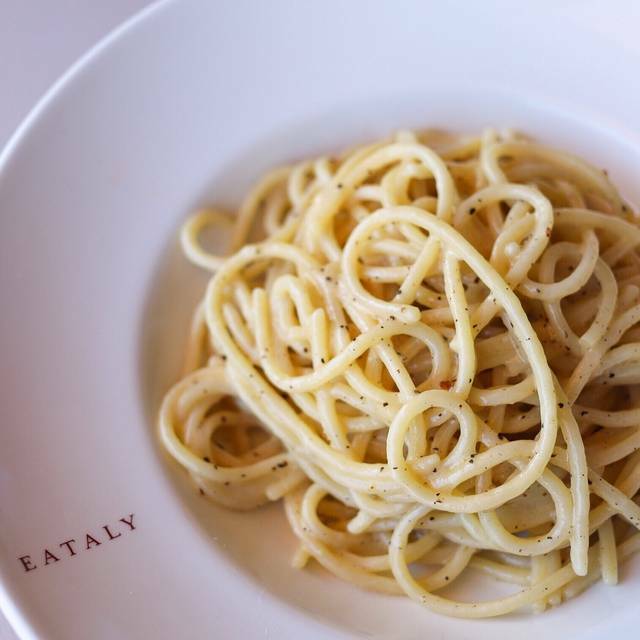 expect more especially having eaten at the Chicago Eataly. Decent food but a bit overpriced which is expected since on the strip. Overall this experience was not good. The staff was great but the food was not. My girlfriend and I ate here before a concert. The salad we shared was good but the pizza was terrible. It was cold with limp soggy crust. Two glasses of wine and the above mentioned food was $77.00. I wouldn’t mind the price if it was good food. Seating very close together and extremely noisy. Went for a family dinner and everyone loved it. Table was ready on time and everyone loved the food and had a great time. Can't wait to go back! Horrible service. Our server had an attitude worse than I’ve ever seen. Everytime we asked a question she would roll her eyes. I asked about a special I had seen and she said they didn’t offer it and that if I didn’t believe her, she would get her manager! A simple, No would’ve sufficed. The food was ok, but 1 person at our table of 4 didn’t get her meal until 10 min after the rest of us. We love Eataly, but we’ll stick to the food court area from now on. Pronto! 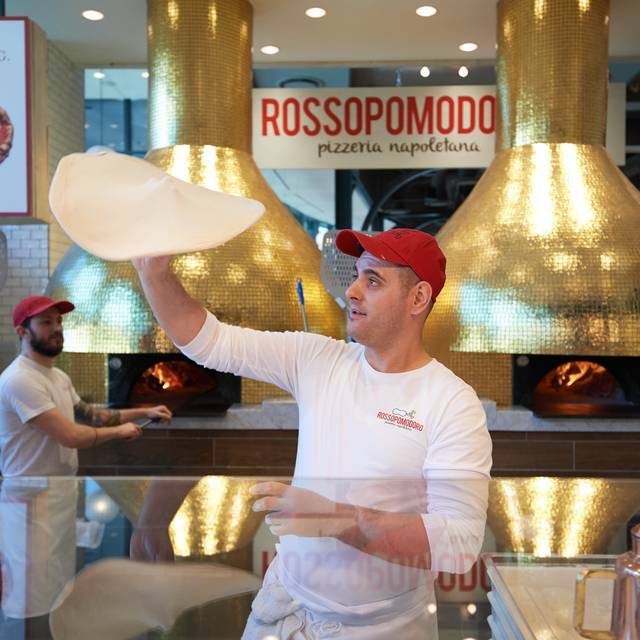 It's a smaller location than other Eataly locations I have visited (Chicago, Florence, New York) but it's an inviting space, delicious, with top notch quality. The vibe is casual and friendly. Find a nook, table, or stand and eat! Such great food, amazing pizza. Not a full bar, but great wine list. How do you offer dessert without offering coffee drinks. Doesn’t make sense. Main server was inattentive while her partner was much more pleasant and on top of things. Pizza was not hot when it arrived at the table. No server checked in on our meal until we were done. Flavors were good, crust thin and soggy on top with hard crusty under layer. I’ve had better. Disappointing. This is one of those places that there is nothing really wrong but nothing that I want to write home about. The food is good but not outstanding. We enjoy the more intimate romantic restaurants. Overall I found our waitress to be inattentive and fairly condescending. The portions were about right but i also found the food to be comparable to any frozen selection you would find in a grocery store. There was no ability to add-Ons. Overall, not worth it. The food was excellent and the staff went over and above! Excellent food and ambience. Service was very good as well. Wonderful experience! Waitress was very knowledgeable of menu items and wines. Really enjoyed the meal at La Pizza e La pasta. 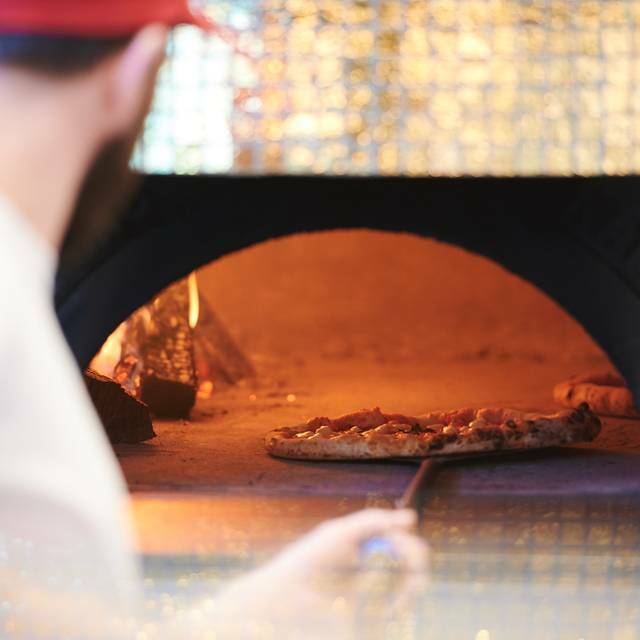 Using the SanMarzano tomatoes gives the pizza an authentic Naples taste. The pasta dishes were cooked perfectly, and the proscuitto appetizer was to die for! Packed in like sardines. Food was awful. Service was worse. Looked good before we went. So disappointed. Left hungry and upset. Food and customer service was top notch. We will make this a regular stop on our trips to Las Vegas! All Italian. The real deal. Loved the pizza! Gotta go and do some serious food purchasing when you're done eating. Great food. Everyone raved about their meal. Best Gluten Free pizza crust EVER!! So good! Unfortunately the food was way over priced and the staff hated their life. It was very busy, noisy and felt rushed. I had a glass of wine and only took 4 sips. I was disappointed needless to say. So good! Wow. 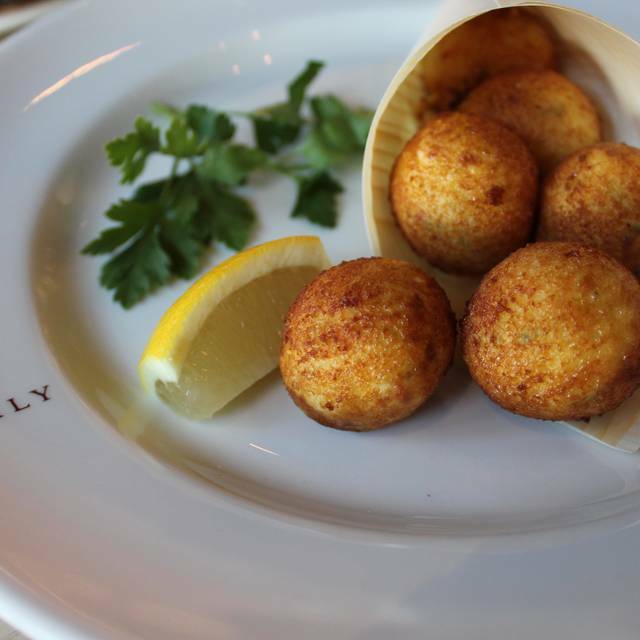 Fresh, delicious, and fun atmosphere. Can’t wait to go back.